Civil rights activist Peter Miguel Camejo, an advocate of third party politics, died early today at his home in Folsom, according to Ralph Nader, who notified The Bee in an e-mailed tribute. Nader said Camejo’s wife, Morella, was at his side. Camejo, 68, had been battling lymphoma cancer. Nader said Camejo’s condition had deteriorated over the past few days. Breaking News – Green Party activist Peter Camejo, 68, dies – sacbee.com. Peter Miguel Camejo, a civil rights leader, socially responsible investment pioneer, and magnanimo caballero for third party politics in the US, peacefully passed away early Saturday morning at his home in Folsom, CA with his wife Morella at his side — only days after completing his autobiography. The 68-year-old justice fighter had been battling a reoccurrence of lymphoma cancer, and his condition had rapidly deteriorated over the past few days. Peter was a student leader, civil rights advocate, leader in the socially responsible investment industry with his own investment firm, Progressive Asset Management, Inc., and author of books on investment and history including Racism, Revolution, Reaction, 1861-1877, The Rise and Fall of Radical Reconstruction, California Under Corporate Rule, and his recent book, The SRI Advantage: Why Socially Responsible Investing Has Outperformed Financially. Peter used his eloquence, sharp wit, and barnstorming bravado to blaze a trail for 21st century third party politics in the US. He was a third party candidate for state and national office, making three gubernatorial runs in California as a Green, including one in the 2002 election when he earned 5.3 percent of the vote. In the 2003 recall election, he debated Arnold Schwarzenegger and Gray Davis, and in the 2004 Presidential election, he was my running mate on our Independent Ticket. Peter was a friend, colleague and politically courageous champion of the downtrodden and mistreated of the entire Western Hemisphere. Everyone who met Peter, talked with Peter, worked with Peter, or argued with Peter, will miss the passing of a great American. Peter Camejo is survived by his wife Morella, his father Daniel, his daughter Alexandra, his son Victor, three brothers Antonio, Daniel, and Danny, and three grandchildren Andrew, Daniel, and Oliver. When his autobiography (with the working title Northstar) is published, we will all be able to get a vivid sense of the great measure of Peter Camejo as a sentinel force for civil rights and civil liberties, and expander of democracy. His lifework will inspire the political and economic future for a long time. Nader Issues Statement on the Passing of Friend and 2004 Running Mate, Peter Camejo — Ralph Nader for President in 2008. Green Party 2003 gubernatorial candidate Peter Camejo debates independent Arianna Huffington, Democratic Lt. Gov. Cruz Bustamante and Republicans Tom McClintock (state senator) and Peter Ueberroth, a former baseball commissioner for 90 minutes in a session that was preceded by a separate appeal by Governor Gray Davis to voters not to toss him out of office in the October 7th, 2003 California recall election. This was the first televised debate of the campaign. The situation in Bolivia remains one of confrontation between the oligarchy, backed by U.S. imperialism on the one side, and the masses who support the Evo Morales government on the other. Tuesday, September 9th, marked a high point in the reactionary offensive of the oligarchy in Santa Cruz and the other departments in the East of the country, where they control the regional prefects. 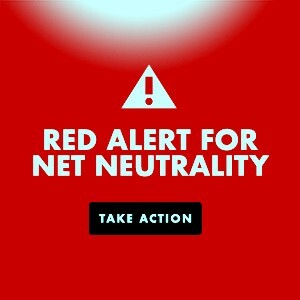 (see Renewed offensive of the oligarchy – time to strike back!). On Thursday, September 11, 9 people were killed and 50 were injured in clashes in the department of Pando. A group of peasants was travelling to Cobija, the department capital, to attend a mass meeting called to organise the resistance against the right wing offensive. They were intercepted by a group of employees of the regional prefect, travelling in a car belonging to the road maintenance service, and armed with assault rifles. As a result of the subsequent clashes, 9 people died. This is the highest death toll in the recent violence so far. Meanwhile, in Santa Cruz, armed gangs of the fascist Union Juvenil Cruceñista (UJC) attempted for the second night to take over the main public squares in the 300,000-strong working class neighbourhood of Plan 3000. Throughout the night there were running battles, but the UJC was repelled by the people of Plan 3000. Comrades present report that although the people in the neighbourhood heavily outnumber the UJC thugs, the problem is that the UJC are heavily armed with tear gas grenades, bullet proof vests, assault rifles, machine guns, pistols, etc. We have also received reports from Santa Cruz that local MAS leaders dissuaded the workers and peasants of San Julian (the department’s second largest city and a stronghold of the MAS) from marching to the capital Santa Cruz to counter the fascist gangs. The argument was that “we should not fall for provocations”, “what the prefects want is for people to die so they can have their martyrs”, etc. In Santa Cruz, the offices of the Agrarian Reform Institute, telecommunications company Entel, Tax Revenue, Graco, Caja Nacional de Salud, the state oil company Yacimientos, Terminal Bimodal, Education Department, Labour Directorate, Forestry Commission, Almacenes Bolivianos, Migration Office and the Import Duty. In Tarija, Digecco, Agrarian Reform, Tax Office, Hydrocarbons, Migration and Import Duty. In most of the cases, police and army units that were protecting these building were overrun by the violent gangs of fascists, because they were under strict orders not to shoot and not to use violence to protect them. The mood in factories and peasant communities throughout the country is one of rage and at the same time impotence, as the oligarchy is allowed to attack government offices, social organisation offices, airports, gas fields, border crossing points, etc., with no response by the government. They are seething with discontent, but no lead is being given. A number of mass organisations in El Alto, Cochabamaba and other parts of the country are calling on the government to declare a state of siege and use its powers against this “slow motion” coup. A national march on La Paz is being planned, to being on September 16th, but that might be too late. The government’s inaction, and even in some cases its stopping of the initiative of the masses, could have the effect of demoralising the workers and peasants who support it. Vice-president Alvaro García Linera correctly characterised what is happening in the country as a “civic bosses’ coup” and called on Bolivians to remain vigilant to “defend democracy and national unity”. The problem is that he did not explain how the Bolivian masses are supposed to “defend democracy”. As we have seen in the massacre in Pando and the clashes in Plan 3000, the unarmed masses can do little against the heavily armed gangs of fascists. Once again, government ministers are calling for respect for the rule of law, for the judges to implement the laws and the prosecutors to prosecute those who break them. But these are just words when the oligarchy is tearing up the law in defence of their interests. To add to the confusion, at the same time that several government ministers rightly blamed the deaths and the violence on the prefects of Santa Cruz, Pando, Beni and Tarija and the civic committees, others called again for negotiations, and a meeting with the prefect of Tarija has been set up for today, Friday, even putting a government plane at his disposal so that he can go to the capital La Paz. In Beni, the regional army command has signed a truce with the regional prefect. The agreement involved the army withdrawing from the public institutions they were protecting (!! ), while the prefect agrees not to take them over. This situation of constant zig-zags by the government is creating the feeling that power is slipping away from its hands. This is very dangerous. Amongst the military officers, many of whom are opposed to the government anyway, there is already talk of the need for a coup to restore law and order. From their point of view, the institution of the military has been humiliated, having been over-run by civilians, while carrying out their duties loyally. How can they continue to obey a government that seems to be giving up ruling the country? This is probably what many think already. That a military coup is being discussed is also clear from Hugo Chávez’s statement on Thursday night. After revealing that a coup plot had been uncovered in Venezuela and making an appeal for mass mobilisations, he said that in solidarity with the Bolivian people and government he was also expelling the US ambassador in Venezuela and recalling the Venezuelan ambassador in Washington. He then added a warning to the Bolivian military. He said: “Any movement by the oligarchy, the yanquis, or the army to overthrow the Bolivian government or kill Evo Morales, would give us carte blanche to intervene and support any armed movement to restore the people in power”. Today, the national enlarged meeting of the COB (its national leadership and representatives from all regions and unions) is taking place in La Paz, and they will report back on their decisions at similar meetings in all departments tomorrow. This is a crucial meeting. In the present situation, a clear plan of struggle is needed. The COB should organise for an indefinite general strike, the holding of cabildos abiertos (mass meetings) in all cities and towns, the setting up of Popular Assemblies (committees of action), the creation of self-defence organisations based on these assemblies, call for and implement the immediate arrest of all those involved in the violent and illegal activities of the last few days, and mobilize to expropriate of the property of the oligarchy. The onslaught of the oligarchy can only be stopped by the action of the masses in the streets, but they must be armed. 35 years ago, a few days before the military coup in Chile, a million workers marched in Santiago, demanding weapons to defend against the coup that everybody knew was coming. Salvador Allende believed until the very last minute that the army and the oligarchy were going to respect the democratic institutionality. As a result, he was assassinated along with thousands of workers, peasants and youth. The country was plunged into decades of ferocious dictatorship. That should be a powerful lesson. Evo Morales and Garcia Linera have correctly identified the threat as a “civic bosses coup”, but now they should act accordingly. They received the support of 67% of the vote in the recall referendum on August 10th. More than 2 million Bolivians support them and the idea of a fundamental transformation in the country. The oligarchy is only a minority, but they have economic power, weapons, links to the military and support from imperialism. But even with all of these things in their favour, they can only control the streets and appear strong because of the inaction of the government and the leaders of the mass movement. If Evo Morales were to issue an appeal to the workers and peasants to come out in the streets to smash the counter-revolutionary conspiracy, the coup plotters would flee, nothing could stop the mobilized masses. He should give immediate orders to arrest the coup conspirators. If the police and the army refuse to obey these orders, he should appeal to the rank and file soldiers to put their officers under arrest, distribute arms to the workers and peasants and carry out the arrests themselves. He should issue a decree for the immediate expropriation of the property of the coup plotters and appeal directly to the mass organisations of workers and peasants to carry it out. And if the government is not prepared to do so, then the COB and the CONALCAM must take the initiative. The situation is very dangerous. This is no time for words or negotiations. This is the time for action, to put an end once and for all to the power of the oligarchy. There is no time to waste. No coups in Bolivia or Venezuela! Defend the Bolivian and Bolivarian revolutions! TEHRAN (Press TV) — The Pakistani Army has been given orders to retaliate against any unilateral strike by the Afghanistan-based U.S. troops inside the country. Army Spokesman Maj Gen Athar Abbas confirmed the orders in a brief interview with Geo News on late Thursday night. The decision was made on the first day of the two-day meeting of Pakistan’s top military commanders to discuss the U.S. coalition’s ground and air assault in Waziristan region which killed dozens of civilians. Army Chief General Ashfaq Parvez Kayani chaired the meeting which began in Rawalpindi on Thursday at the Army General Headquarters. Pakistan’s military commanders expressed their determination to defend the country’s borders without allowing any external forces to conduct operations inside the tribal belt bordering Afghanistan, sources said. tehran times : Pakistan army ordered to hit back at U.S. forces. Many pictures/photos at the original source. Today’s “Global War on Terrorism” is a modern form of inquisition. It has all the essential ingredients of the French and Spanish inquisitions. Going after “Islamic terrorists”, carrying out a Worldwide preemptive war to “protect the Homeland” are used to justify a military agenda. The GWOT is the ideological backbone of the American Empire. It defines US military doctrine, including the preemptive use of nuclear weapons against the “state sponsors” of terrorism. The preemptive “defensive war” doctrine and the “war on terrorism” against Al Qaeda constitute essential building blocks of America’s National Security Strategy as formulated in early 2002. The objective is to present “preemptive military action” –meaning war as an act of “self-defense” against two categories of enemies, “rogue States” and “Islamic terrorists”, both of which are said to possess weapons of mass destruction. The legitimacy of the inquisition is not questioned. The “Global War on Terrorism” justifies a mammoth defense budget at the expense not only of health and education, but of virtually every single category of public expenditure. The “Global War on Terrorism” requires “going after” the terrorists, using advanced weapons systems. It upholds a preemptive religious-like crusade against evil, which serves to obscure the real objectives of military action. The lies underlying 9/11 are known and documented. The American people’s acceptance of this crusade against evil is not based on any rational understanding or analysis of the facts. America’s inquisition is used to extend America’s sphere of influence and justify military intervention, as part of an international campaign against “Islamic terrorists”. Its ultimate objective, which is never mentioned in press reports, is territorial conquest and control over strategic resources. The objective of the “Global War on Terrorism” launched in September 2001 is to galvanize public support for a Worldwide campaign against heresy. In the eyes of public opinion, possessing a “just cause” for waging war is central. A war is said to be Just if it is waged on moral, religious or ethical grounds. The US led war in the broader Middle East Central Asian region consists in gaining control over extensive reserves of oil and natural gas. The Anglo-American oil giants also seek to gain control over oil and gas pipeline routes out of the region. (See table and maps below). Muslim countries possess 66 percent of total oil reserves. (Michel Chossudovsky, The “Demonization” of Muslims and the Battle for Oil, Global Research, Jannuary 4, 2007). In contrast, the United States of America has barely 2 percent of total oil reserves. Iraq has five times more oil than the United States. Demonization is applied to an enemy, which possesses more than 60 percent of the world’s oil reserves. “Axis of evil”, “rogue States”, “failed nations”, “Islamic terrorists”: demonization and vilification are the ideological pillars of America’s Inquisition. They serve as a casus belli for waging the battle for oil. The objective is to sustain the illusion that “America is under attack” by Al Qaeda. Under the American inquisition, Washington has a self-proclaimed holy mandate to extirpate Islamic fundamentalism and “spread democracy” throughout the world. “Going after Bin Laden” is part of a consensus. Fear and insecurity prevail over common sense. Despite the evidence, the White House, the State Department, the two Party system, cannot, in the minds of Americans, be held responsible for a criminal act (9/11/) resulting in the deaths of American civilians. What we are dealing with is an outright and blind acceptance of the structures of power and political authority. In this regard, the American Inquisition as an ideological construct, is, in many regards, similar to the inquisitorial social order prevailing in France and Spain during the Middle Ages. The inquisition, which started in France in the 12th century, was used as a justification for conquest and military intervention. In the early 13th Century, “Pope Innocent III declared a crusade against the Cathars” at the behest of the French royal family. The crusade was in fact a war of conquest under the disguise of a campaign against heresy. The Inquisition directed against heresy was intended to consolidate the Monarchy’s territorial control. It provided a pretext to intervene militarily in south and southwestern France, using the authority of the Catholic Church as a façade. The inquisition became part of a political consensus, carried out by the Church’s inquisitors, imposed by the ruling feudal order and supported militarily. Its purpose was to maintain and sustain the social and political order, extend the powers of the central State, subjugate regional powers in France, using the campaign against heresy as “a justification to wage war”. Sounds familiar? Anybody who doubts the legitimacy of the American inquisition (9/11 and the “Global War on Terrorism”) is a heretic conspiracy theorist or an accomplice of the terrorists. The American Inquisition is part of a Bipartisan Consensus. Both the Democrats and the Republicans support the American Inquisition. There is an “outside enemy”. The Homeland is under attack. Islamic terrorists “threaten our way of life”. “We must defend ourselves” preemptively against Osama and his lieutenants. US Northern Command (Northcom), with headquarters at the Petersen Air Force base in Colorado was established in early 2002 to protect America against a terrorist attack. It was presented to public opinion as a response to the 9/11 attacks. The real strategic objectives of Northern Command using sophisticated aero defense weapons including nuclear warheads, are not mentioned. The mouthpiece of America’s inquisitorial order is the Western corporate media. People who question the validity of any of these statements or who have doubts about who is behind the 9/11 attacks, are considered to be accomplices of those who threaten the American Homeland. Those who refused to recant, which means give up their heresy, were burned alive. Today’s Patriot Act, the military courts, the Guantanamo concentration camp, the CIA rendition camps, Abu Ghraib, etc., are part of an advanced inquisitorial system. Terrorist suspects are held incommunicado. They are tortured, tried by military courts and sentenced. They are not given the right to recant. The objective is not to “make the World safer” by putting the terrorists behind bars. The show trials of the alleged terrorists perform an important social function. They are an integral part of Pentagon’s disinformation campaign. Quite concretly, they give a real face to the enemy. They sustain the illusion, in the inner consciousness of Americans, that the “Islamic terrorists” constitute a real threat. The arrests, trials and sentences of “Islamic terrorists” sustain the legitimacy of America’s Homeland Security State and its inquisitorial legal and law enforcement apparatus. The ultimate objective is to instill in the minds of millions of Americans that the enemy is real and the US Adminstration will protect the lives of its citizens. Washington does not silence its antiwar critics. Quite the opposite. The inquisitorial social order allows certain forms of dissent. It is politically correct under a “democracy” to condemn US foreign policy in the strongest terms. The New World Order builds a political and media consensus (i.e. the GWOT) but at the same time it creates and moulds its own opposition. It establishes the limits of dissent. It “manufactures dissent”. US foreign policy is condemned, but the “Global War on Terrorism” is upheld. Wittingly or unwittingly, this endorsement of the GWOT by those who claim to be opposed to the US administration, provides a legitimacy to the inquisitorial order, which underlies the actual practice of US foreign policy. The “Just War” theory (justum bellum) has a longstanding tradition. It has been used throughout history to uphold the dominant social order and provide a justification for waging war. In the case of Afghanistan, 9/11 played a key role in justifying the invasion. The war on Afghanistan was considered a “Just War”, waged on humanitarian grounds. Afghanistan was tagged, without a shred of evidence and prior to the conduct of an investigation, as the “state sponsor” of the 9/11 attacks. The invasion of Afghanistan in early October 2001 was presented as a counter-terrorism operation directed against the perpetrators of 9/11 and their state sponsors. Trade unions, NGOs and many “progressive” intellectuals endorsed the US-NATO led invasion. 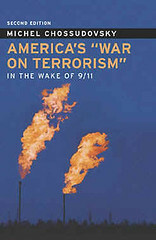 The events of 9/11 played a key role in gaining the support of various sectors of American society including the opponents and critics of the Bush adminstration’s foreign policy. The war on Afghanistan was prepared prior to 9/11. War preparations were already in an advanced stage of readiness. The green light to wage war by the US and NATO on Afghanistan was provided within 24 hours of the 9/11 attacks. The press reports failed to reveal a fact which is known and acknowledged by military analysts: a major theater war cannot, under any circumstances, be planned and carried out in a matter of 4-5 weeks. 9/11 was used as a justification to carry out a “humanitarian war”. Known to military analysts, the war on Afghanistan had been planned well in advance of the tragic events of September 11, 2001. In the 14th and 15th centuries, the Inquisition spread to other parts of Europe. In Italy, the inquisition went after nationalist movements in regions like Lombardy in the north, Venice, or Sicily. It was used to suppress these political movements. In northern France and Germany, the inquisition used the pretext of small mystical sects, to intervene politically and militarily. Regional powers including local principalities refused to cooperate with the inquisition. In today’s world, this form of interventionism is carried out by sending in US special forces to “help governments” to combat terrorism. The Spanish inquisition was also characterized by a process of building a consensus, of going after the heretics and nonbelievers. The inquisition was used to support the process of territorial consolidation in the Iberian peninsula. The objective was to reinforce the absolute monarchy and the powers of the landed aristocracy against the Muslim and Jewish merchant classes. The Spanish Inquisition was executed at the behest of Queen Isabel, Reina Catolica. In 1483, The Reyes Catolicos, Isabel de Castilla and Ferdinando de Aragon, established a Council to direct the Inquisition. Tomas de Torquemada, an advisor to Isabel become the first General Inquisitor. Torquemado had previously preached against the Jewish and Muslim Converts (Conversos). The objective was to repress the upcoming merchant classes. “One country, one ruler, one faith” became the mandate of the General Inquisitor. The pope upheld the inquisition, the hidden agenda was the feudal order and the Spanish led colonial wars. The Spanish inquisition lasted for 300 years. Today in America, the General inquisitor is the Secretary of the Department of Homeland Security. “If two witnesses under oath accused someone of heresy, the accused person would be summoned to appear. opinions, prejudices, rumors, and gossip were all accepted as evidence. the accused was never told the names of the accusers, nor even the exact charges. “I am a faithful Christian,” the fearful suspect might reply. “They would torture those who refused to recant. During torture, the religious inquisitors would stand by as witnesses to record confessions or take down the names of other heretics. The government also carried out the final sentence of imprisonment or death. Those who recanted immediately might receive a fairly light sentence — saying prayers, fasting, being whipped in public, or making a pilgrimage. Some who recanted were forced to wear a yellow cross of felt sewn on all their clothing. The cross marked them as a former heretic, and many people would stay away from them in fear. Many who refused to recant right away were sentenced to prison for life. If they refused to recant at all, the Inquisition turned them over to government authorities to be burned alive. Some inquisitors were so thorough that they went after the dead. If a dead person was accused of heresy, his or her bones could be dug up and burned. For most accused heretics, there was no appeal. A few rich or powerful people might beg the pope to change a sentence, but for most of the condemned, the sentence was final. The families of those sent to prison or to the stake lost their property. “These properties were then administered at first by the Crown, and later by the General Inquisitor…. Torture was the order of the day. The accused were not allowed to have a lawyer. In Spain in the 16th Century, the inquisition was accepted. It was a consensus. The population was led to believe that it was a good thing and that torture “served to purify society”. “A bishop came out and shouted out the names of the condemned. then the heretics were led out, wearing black robes decorated with red demons and flames. officials of the government tied them to the stake. “do you give up your heresy against the holy church?” a priest would challenge. Anybody who dared to question the validity of this “war on terrorism” was himself branded a terrorist and subjected to the anti-terrorist laws, which at the time, in Spain, was death. In today’s inquisitorial environment, most people are skeptical regarding the official 9/11 narrative, but nobody dares question the validity of the “war on terrorism”. “These are bad people, and we must go after them, take them out.” The discourse is almost the same. The ultimate objective is to subdue the citizens, totally depoliticize social life in America, prevent people from thinking and conceptualizing, from analyzing facts and challenging the legitimacy of the inquisitorial social order which rules America. The Big Lie becomes the Truth. Realities are turned upside down. The objective is to create an atmosphere of fear and insecurity, with a view to upholding the New World Order. “NOBODY expects the Spanish Inquisition! Our *three* weapons are fear, surprise, and ruthless efficiency…and an almost fanatical devotion to the Pope…. Our *four*…no… *Amongst* our weapons…. Amongst our weaponry… are such elements as fear, surprise…. Sent to me by the author, thanks William. In Pakistan, twenty-five people, including several women and children, are now reported to have been killed in Monday’s US drone attack on a compound in western Pakistan. A new article by investigative journalist Gareth Porter reveals that the Bush administration ignored warnings against such raids from the American intelligence community. They said that such raids could benefit the Taliban and destabilize the Pakistani military. Democracy Now! | Gareth Porter: Bush Admin Ignored Warnings Against Pakistani Air Strikes. On the heels of President Bush’s announcement of the withdrawal of 8,000 US troops from Iraq by February of next year, we speak to Iraqi blogger and political analyst Raed Jarrar. He has translated a recently leaked draft of an Iraqi-US agreement that outlines the long-term status of US forces in Iraq. Jarrar says the agreement does not set a deadline for the withdrawal of non-combat US troops in Iraq. Democracy Now! | As US Announces Withdrawal of 8,000 Troops from Iraq, Leaked US-Iraqi Draft Agreement Envisions Indefinite Occupation. Steal Back Your Vote! by Greg Palast and RFK, Jr.
Greg Palast investigates how they’re stealing your vote… And tells you what you can do to steal it back! With Robert F. Kennedy Jr.
Ron Paul, Cynthia McKinney & Ralph Nader on stage together! September 10, 2008 C-SPAN Representative Ron Paul held a news conference support third party presidential candidates and urge his supporters to consider backing independent candidates rather than the Republican or Democratic nominees. He was joined by independent Ralph Nader, the Green Party’s Cynthia McKinney and the Constitution Party’s Chuck Baldwin. Representative Paul did not endorse a specific candidate. Washington, Sep 11 – America must move from the errant, retributive justice of 9/11 to a healing, restorative process of truth and reconciliation. The South African Truth and Reconciliation enabled that nation to come to grips with its past through a public confessional, bringing forward those who committed crimes and having the power to grant amnesty for full disclosure of crimes against the people. Of course, our path may necessarily be different: High US government officials stand accused in Impeachment petitions of violating national and international law. Our continued existence as a democracy may depend upon how thoroughly we seek the truth. I will call upon the American people to join me in supporting this effort. Keith reports on the spin coming out of the Sarah Palin interviews with Charlie Gibson in the last two days. Keith reports on the press finally waking up a bit and starting to call the McCain campaign out for lying in their campaign ads. Markos Moulitsas from DailyKOS weighs in. Keith reports on Sarah Palin continuing to perpetuate the myth that Iraq had anything to do with 9-11. Chris Hayes weighs in. Richard Wolffe weighs in on the Sarah Palin interviews and notes that Barack Obama would have been savagely attacked by the right wingers if he had made some of the same mistakes that Sarah Palin has. Keith shows a short portion of McCain’s appearance on The View today. Tonight’s: President Petulant-Gate, Blood for Oil-Gate and Mastermind-Gate. Today’s edition of McCain in the Membrane showing McCain in October 2007 talking about how he was prepared to be President and not just a Mayor for a short time or Governor for a small amount of time.